Sergey Kanovich, is a Vilnius born poet and essayist. In the early 90s he moved to Israel. He holds a BA from Vilnius State University, Faculty of Philology. Sergey has worked in Belgian and Israeli hitech companies. 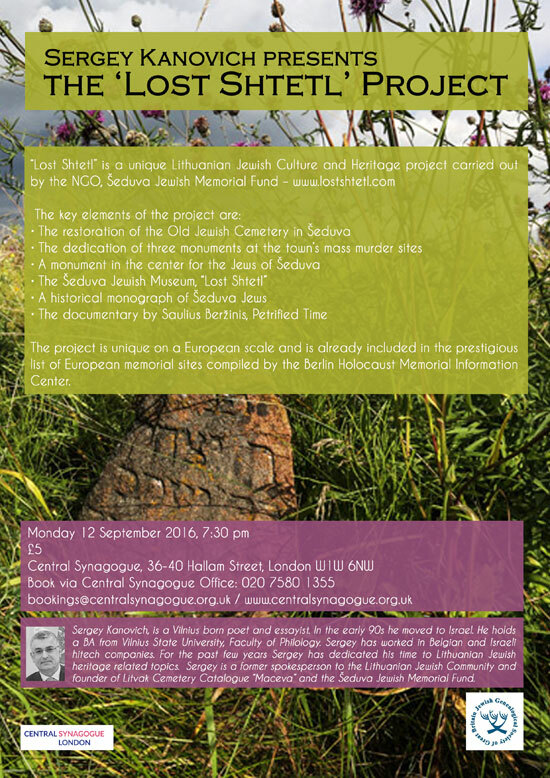 For the past few years Sergey has dedicated his time to Lithuanian Jewish heritage related topics. Sergey is a former spokesperson to the Lithuanian Jewish Community and founder of Litvak Cemetery Catalogue “Maceva” and the Šeduva Jewish Memorial Fund.